Sriram. N founded Seanergy Softech in 2004. He is a Computer Science graduate from Andhra university. Sriram. N founded Seanergy Softech in 2004. He is a Computer Science graduate from Andhra university. He had more than 12 years of software industry experience prior to starting Seanergy. He has developed many breakthrough products that continue to be deployed in stock exchanges around the world. When his entrepreneurial journey began, he had just 4 members in his team. He built up a customer list from scratch. Sriram believes in an open culture that nurtures great value, employs a democratic management style and insists on customer oriented team work. Under his leadership, Seanergy is serving a vast customer base across the USA, UK and the Middle East. Rohit is results oriented techno-business leader with 20+ years of global work experience (13 years in USA & Canada) in Software Product Development, Consulting, IT Services and Global Services Delivery. Rohit is graduate from IIT Delhi and MBA from Indian School of Business. Rohit has worked 14 years with world renowned software product vendors such as Cisco, Ericsson and Corel; covering broad areas of Product & Engineering Management, Software Design & Architecture, Product Evaluation & Integration, Product Strategy & Marketing, and Client Management. 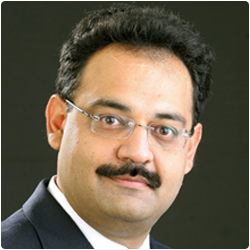 After moving back to India in 2008, Rohit held many senior leadership positions with major IT Services companies such as Virtusa and Innominds; covering Revenue and P&L Management, Global Delivery, Competency Management, Fostering Entrepreneurship & Innovation, Building High Performance Teams, Business/Technology Consulting, Corporate Strategy and Research. Lakshmi. N, the second Seanergyite, holds a bachelor's degree in computers from Andhra University. Known for her strong analytical ability, she is also a 'best critic'. Right from the initial days, she had managed projects for Seanergy both onsite and offshore. 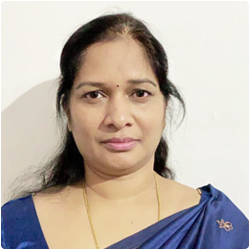 She stands as strong pillar for the company as and when needed and is a good strategist and helps the Seanergy's team to strategize future plans. Subbarao plays vital role in key decision making activities related to Seanergy's vision, growth and Strategy. Subbarao plays vital role in key decision making activities related to Seanergy’s vision, growth and Strategy. He works with a singular focus to help brand Seanergy as the most respected and technically superior software Consulting Services Company. He aligns employees to the company’s goals and set direction by being part of the leadership team. He is passionate in building a highly successful, impactful and ethical business in all forms. His 19+ years of career experience(16+ years in USA) started with IBM Global Services and continued with the most reputed companies like Daimler, ADP, Standard Insurance and Kaiser Permanente. He holds Masters in Computer Applications. He loves playing badminton, maintains active lifestyle at the same time he spends quality time with family and enjoys every moment of his life. 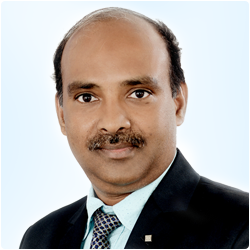 Suresh is a dynamic and versatile technocrat business executive & entrepreneur with over 25 years of global experience in Telecom, Healthcare, High-tech in both private and government entities. He has a proven track record of Operational Sales Leadership in various companies. Before Seanergy he worked as a Sr. Advisor to Health Secretary, State of California. He held various leadership roles in Openwave, Metricom, Mobility Networks. His responsibilities included P & L management, Sales Operations, client fulfillment & service assurance. Suresh holds a M.S. (Comp Sci) from Arizona State University and MBA (Corporate Finance) from Duke University. Kiran. P, the back bone of Seanergy's R&D team, has a Masters degree in Computer Applications. 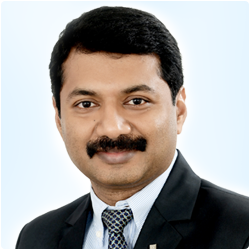 With over a decade of experience in various CMM level 5 companies, he is known for his sharp R&D skills, breaking into new technologies and providing 'solutions beyond imagination'. He has travelled across the US, UK, Middle East and Asia and has a rich exposure to customer needs across different geographies. Soft spoken and kind hearted, he is loved by Seanergyites. As a member of the founding team, he has been a crucial part of Seanergy's success story. Ravi Chandra. 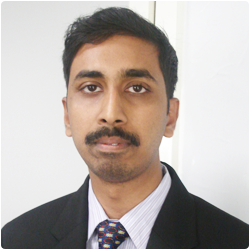 P, a Masters from Nagarjuna University and a member of Seanergy's core team, is known for providing state-of-the-art solutions to customers. His ability to quickly learn technology and grasp customer requirements has been important to Seanergy's success. In his experience with Seanergy, he has accumulated immense knowledge of different sectors such as automotive, Retail and e-commerce. His extensive travels to the US and UK have enabled him to develop the insight necessary to understanding global customers. He has more than 14 years of experience and very successfull in handling large projects and achieving a very high speed performance. He is specially known for his on-time delivery commitments. Satish comes with a rich experience of more than 15 years from IT Industry. He is a science graduate from Andhra University. 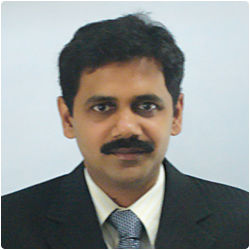 Satish comes with a rich experience of more than 15 years from IT Industry. He is a science graduate from Andhra University. He poses strong db skills and has handled the IT Infrastcture for Seanergy for the last 7 years and has several certification in networking and admin field. He has been an active core team member of Seanergy. His experience in managing the Admin and operations comes in handy to run the Daily show in Seanergy.